TT scale: 1:120 scale, 12mm gauge. A scale with an interesting, if unhappy history. "Eureka!" That's the motto of my native California. In ancient Greek, it means "I have found it!" I'm a long time N scaler. I took up N scale modeling as an adult because my childhood HO trains took up too much room. But I've always wished for something a little bigger than N scale... something between N and HO. On becoming the model railroad expert, I immersed myself in research about aspects of model railroading with which I was unfamiliar. That research led me to TT scale. Eureka! TT scale is 1:120 scale, or ten feet to the inch scale. It uses track with rails gauged at 12mm. Compared to N scale, which is 1:160, TT scale is 33% larger. On the other hand, HO scale, at 1:87.1, is still substantially larger than TT scale. 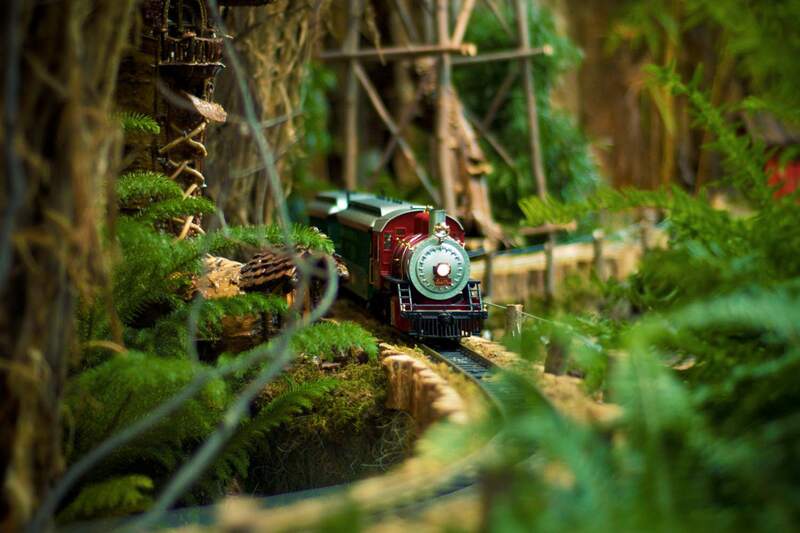 1:120 scale is still in use today in some industrial and hobby applications outside of model railroading. Automotive engineer Hal Joyce introduced TT scale to model railroading in 1945. At the time TT was the smallest model railroad scale available. Joyce founded the company H.P. Products (no relation to Hewlett Packard) and produced model railroad kits in TT scale. Other TT manufacturers in the U.S. also focused on kits. In the late 1960s and early 1970s aggressive marketing of N scale and the lack of RTR (ready to run), TT scale trains pushed TT out of the American market. However, this American orphan found a home in, of all places, the Soviet Union. TT scale remains popular today in Russia, Germany, and other nations of Eastern Europe. Today most TT scale products are ready to run, but nearly all are European prototypes. Model railroaders love the detail. And I think kit builders may be more concerned about detail than other modelers. TT scale kits, for the most part, were stamped metal parts. Metal stamping doesn't produce the level of detail that newer model trains achieve with injection molded plastics. Instead of getting into injection molding, H.P. Products, the originator of TT scale, left model railroading to pursue the metal stamping business. If H.P. had invested in injection molding and produced ready-to-run train sets, who knows where TT would be today. Still, the state of TT scale in America today is similar to that of S scale in the 1970s. American TT scalers can look to S scale as an example of a modeling scale renaissance and have hope. The German firm Tillig may be the largest manufacturer in TT scale today. In the United States, Tillig products are imported by EuroTrain Hobby. At around $70US, Tillig TT starter sets are certainly competitive with American HO and N scale starter sets. Tillig's low-end sets are inexpensive and targeted at the children's market. In keeping with that, they have an integrated roadbed track called Bedding Track, which uses Kato's Unijoiner system. Mehano, a company located in Slovenia (formerly Yugoslavia) also makes European prototype TT scale products Few American modelers take Mehano seriously because they only know the low-end locomotives Mehano makes for American model railroad companies. Few Americans are familiar with Mehano's high-end European trains, which may include LokSound DCC decoders. American prototype TT scale model railroading is now an American cottage industry. Sadly the Americans still primarily offer kits rather than RTR products. Possum Valley Models (PVM) offers a number of American prototype kits, but their availability at times is limited. PVM offers conversion kits for Lionel's "Big Rugged Trains," which are labeled as 1:120 scale, making them TT scale locomotives, though I'm not sure whether the people at Lionel are aware of it or not. I know a number of people who would be glad to see Lionel motorize these locomotives, though given the scarcity of TT scale track and railroad cars in the American market the point would be moot. In the 1980s someone tried reintroducing TT scale to America with the Berliner TT-Bahnen U.S.A. Set. Berliner TT Bahnen has since been acquired by Tillig. In the 1990s Tillig experimented with marketing an EMD FP7 locomotive in the U.S. Neither of these attempts made much of an impact in America. But the BTTB set was a German prototype, and the Tillig attempt was a locomotive with no track or additional cars. When someone introduces an American prototype TT set, I believe TT scale will find its home in America again. In the meantime, I know those rugged individualists who still possess the American spirit of independence will continue to kitbash and scratch-built in 1:120 scale. Why do you ask? For love of the look and feel of TT. What do you think about TT scale? If someone were to produce American prototype train sets in TT scale, what railroads, locomotives, and cars do you think they should start with? What Are the Minimum Clearances for Model Trains? What Is Standard Gauge in Real and Model Railroadings?